● Kurt Busch started 14th, finished fourth, earning seven bonus points. ● Busch said the car was a bit loose, but he was up to 10th by lap 30. ● Busch started second, finished 22nd. ● On lap 79, Busch pitted for four tires and fuel. ● Busch took the lead at lap 84 and held the top spot until he pitted under caution on lap 135 for four tires and fuel. ● The No. 41 Ford was issued a one-lap penalty for passing the pace car on pit road entrance. He restarted 27th, one lap down. ● Busch started 21st, one lap down, and finished 32nd. ● On lap 230, after a caution, Busch was the “lucky dog” and back on the lead lap in 12th. ● Busch pitted on lap 231 for four tires and fuel. ● After not pitting during a lap-263 caution, Busch restarted second. ● Unfortunately, as Busch entered turn two on the restart, the car of Denny Hamlin brushed up against the No. 41 Ford and drove both cars into the SAFER Barrier on the outside retaining wall. Busch’s car then struck the car driven by Chase Elliott. ● The No. 41 Haas Automation/Monster Energy Ford Fusion could not be repaired in the allotted five-minute window, and Busch’s day was done. You embraced Tony Stewart when you got out of the car. What did you say? 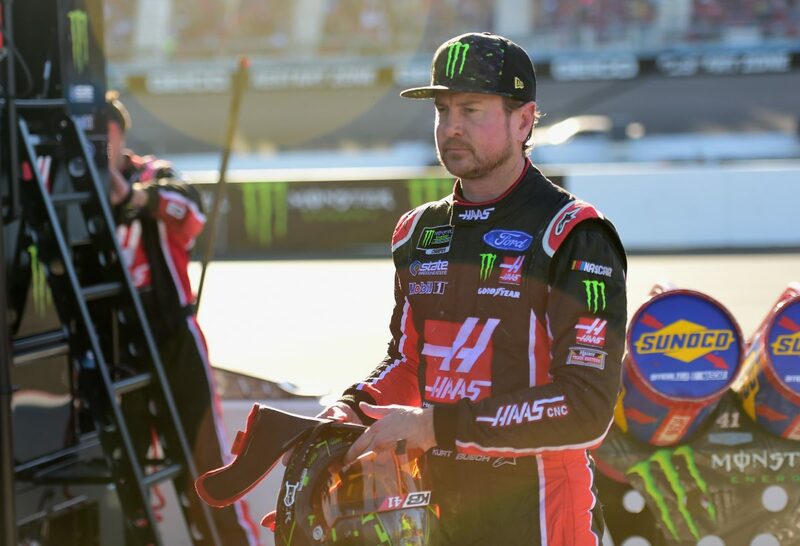 ● Kurt Busch finished fourth in Stage 1 to earn seven bonus points. ● Kurt Busch led once for 52 laps to increase his laps-led total at Phoenix to 809.